Never tried buckwheat crepes? You’ll be addicted after your first galette – particularly when you discover why they are nutritional powerhouses. At Four Frogs Creperie, our buckwheat crepes (we call them galettes) are made using buckwheat flour that we mill in both Four Frogs Creperie Mosman and Four Frogs Creperie Randwick. By milling our own buckwheat flour, we’re able to preserve the nutrients and freshness of the buckwheat – to ensure maximum taste and nutrition. Buckwheat is purely delicious. 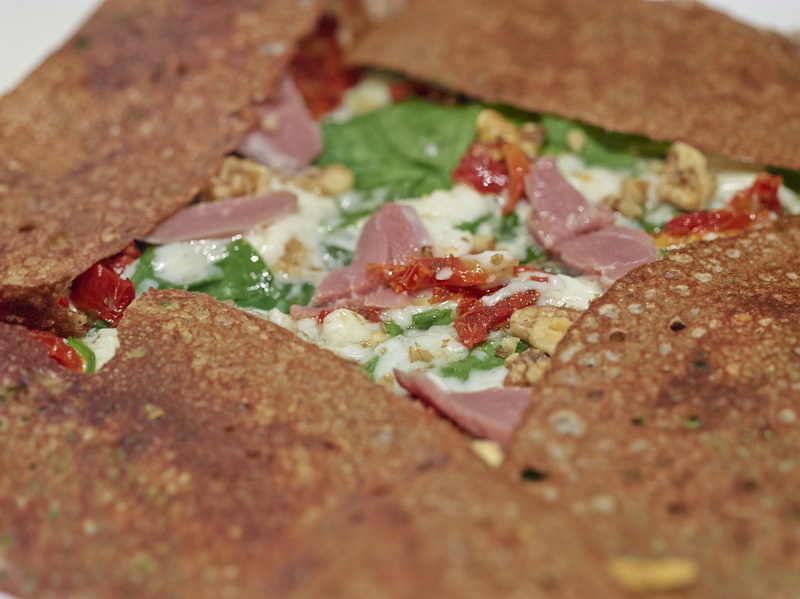 When cooked to perfection, as the galettes at Four Frogs Creperie are, buckwheat brings crispiness and is very flavoursome – enhancing the savoury flavours of our galettes. 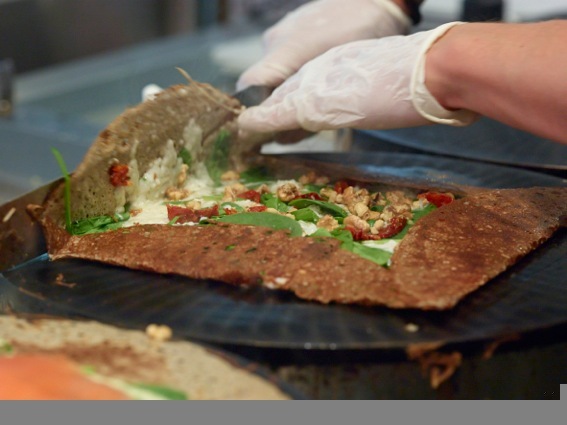 You can browse our wide variety of buckwheat crepes on our French crepes menu. Buckwheat is a naturally gluten- free whole grain – making it an ideal choice for people who are on gluten free or gluten intolerant diets. We do cook our sweet and savoury crepes on the same pans, so there may still be small traces of gluten. Buckwheat is very nutritious. It’s rich in B vitamins, as well as phosphorus, magnesium, iron, zinc, copper and manganese. In fact, buckwheat contains higher levels of zinc, copper and manganese than other cereal grains. The protein in buckwheat contains the eight essential amino acids – and buckwheat is also high in lysine and a great source of the essential fatty acid Alpha-Linolenic Acid. Buckwheat is high in soluble fibre and helps to slow the rate of glucose absorption. It’s also a potential source of resistant starch (a type of starch that escapes digestion in the small intestine).